We are thrilled to announce that Urbanism on Tap has won the 2014 Award of Excellence from the Sun Coast Section of the Florida Chapter of the American Planning Association. This award recognizes an organization, initiative, urban planning process or project which is unique and revolutionary within the Tampa Bay Region. Urbanism on Tap was highlighted as an innovative concept that supports participatory planning principles and demonstrates excellence in the planning profession. If you haven’t yet experienced Urbanism on Tap – the program combines outreach, networking, and education into a unique series of events. 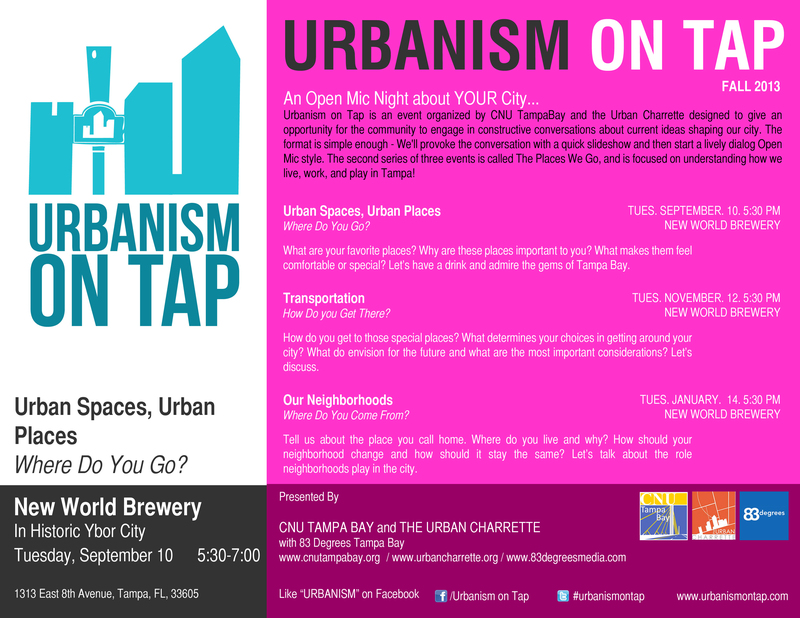 Urbanism on Tap provides participants with an opportunity to engage in constructive informal conversations about current issues shaping the community. Events are held at neighborhood gathering places – not public institutions – usually a bar or pub that is family friendly. Both locals and professionals are welcome where a free exchange of knowledge and experiences is encouraged. The goal is to raise grassroots awareness and provide an opportunity for the average person to explore and engage with issues shaping their urban environment. 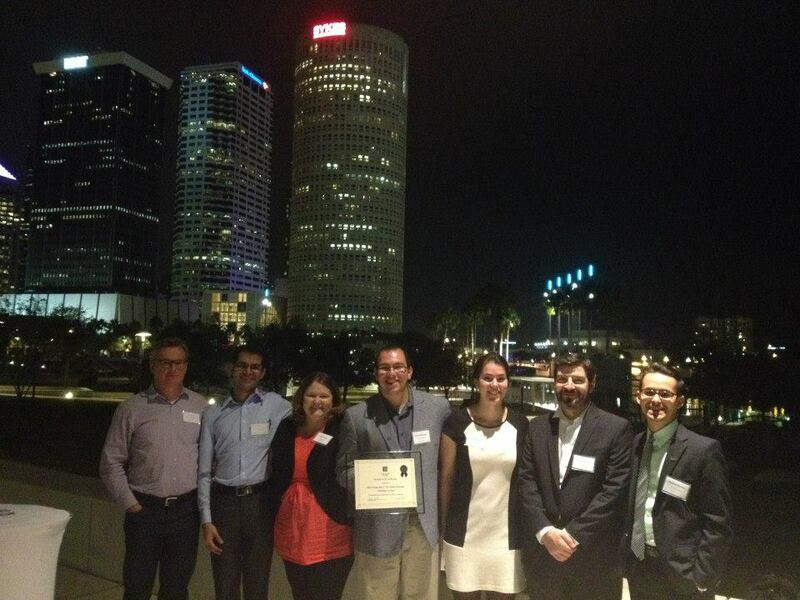 CNU Tampa Bay members and representatives from the Urban Charrette jointly accepted the award at an awards reception on November 21 at the Tampa Museum of Art. 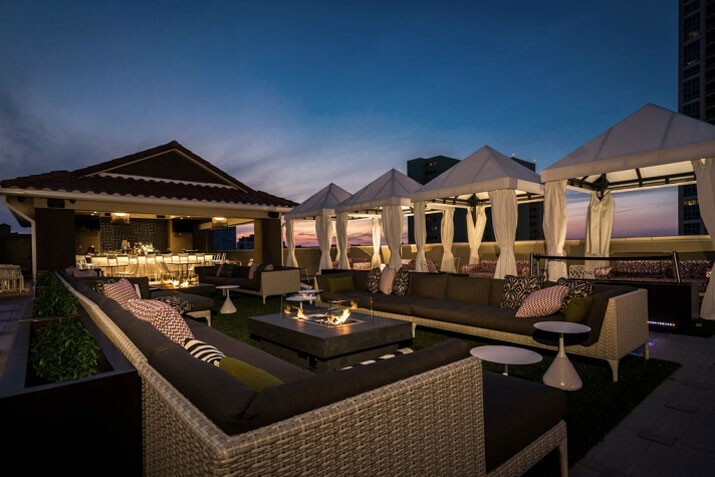 Celebrate the holidays with fellow new urbanists and friends at CNU Tampa Bay’s Holiday Party at the Canopy on Beach Drive in Downtown St. Petersburg. Join us the evening of December 6th to share some excellent company, an amazing view, a hearty selection of hors d’oeuvres, and a round of complimentary drinks for the first 25 followed by a cash bar.